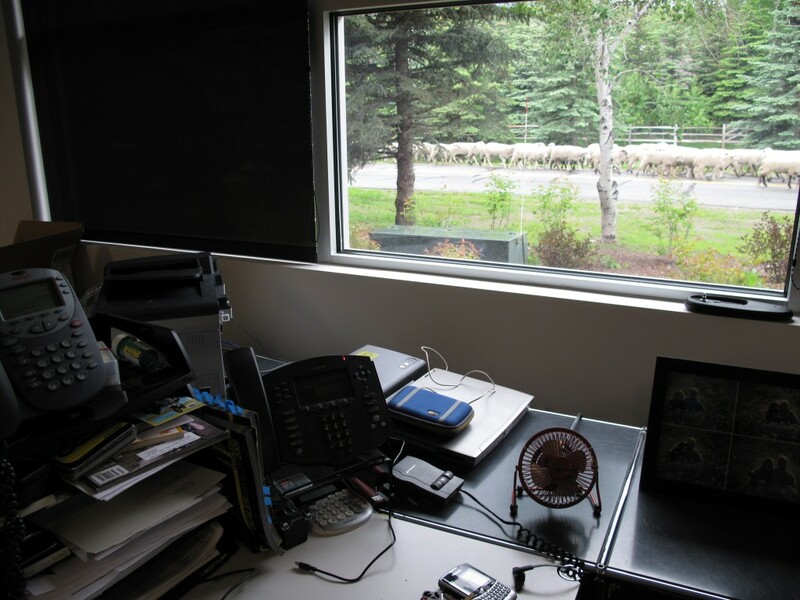 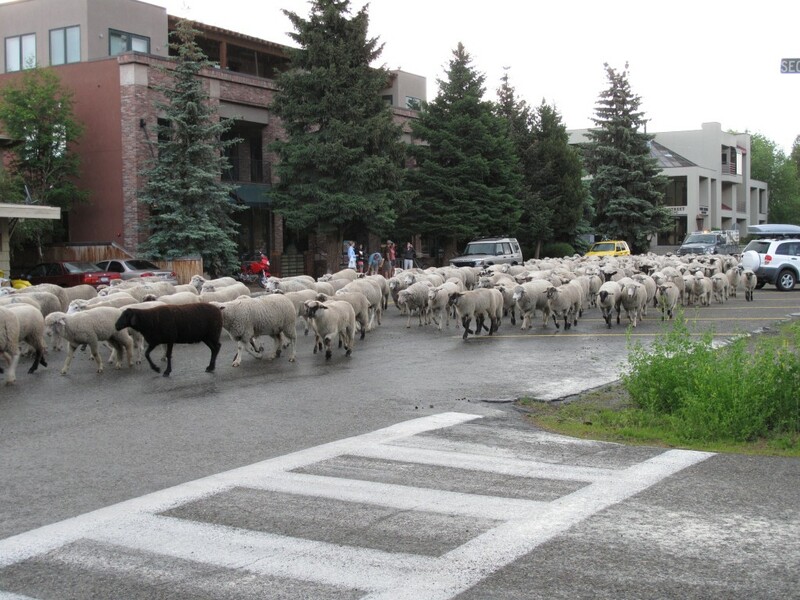 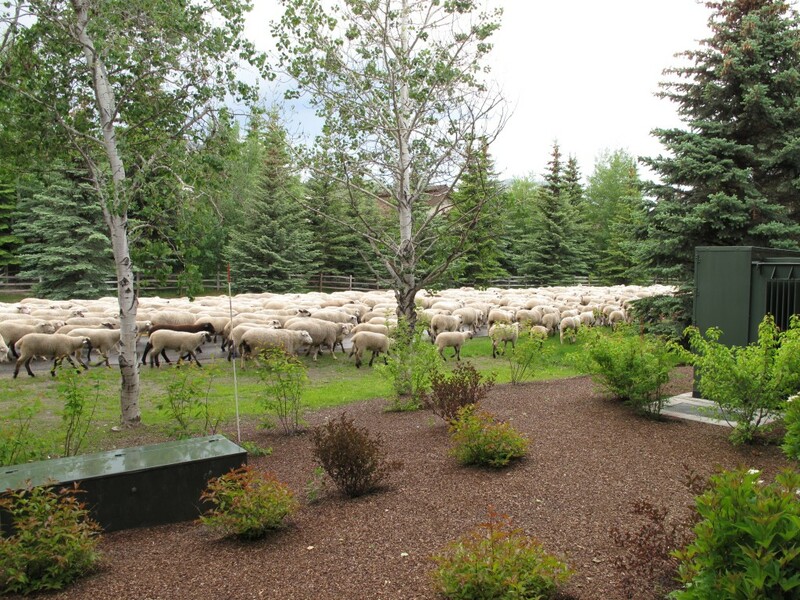 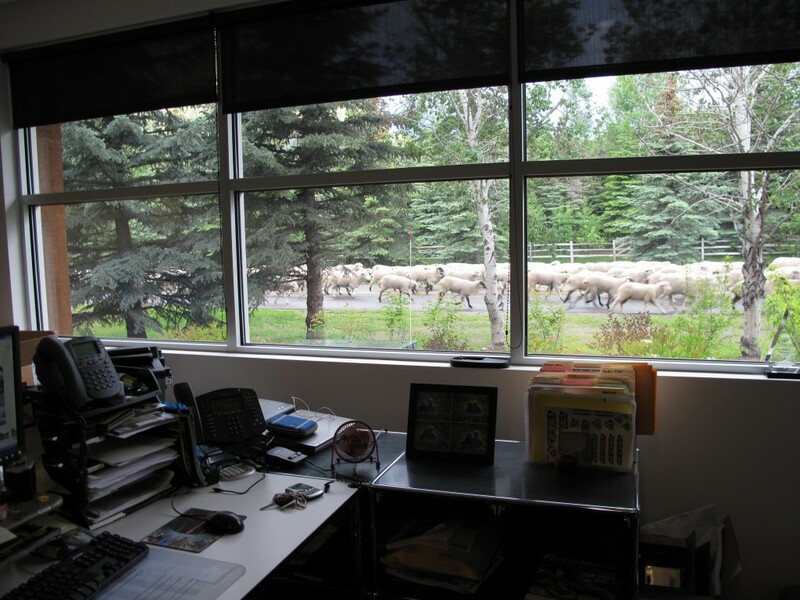 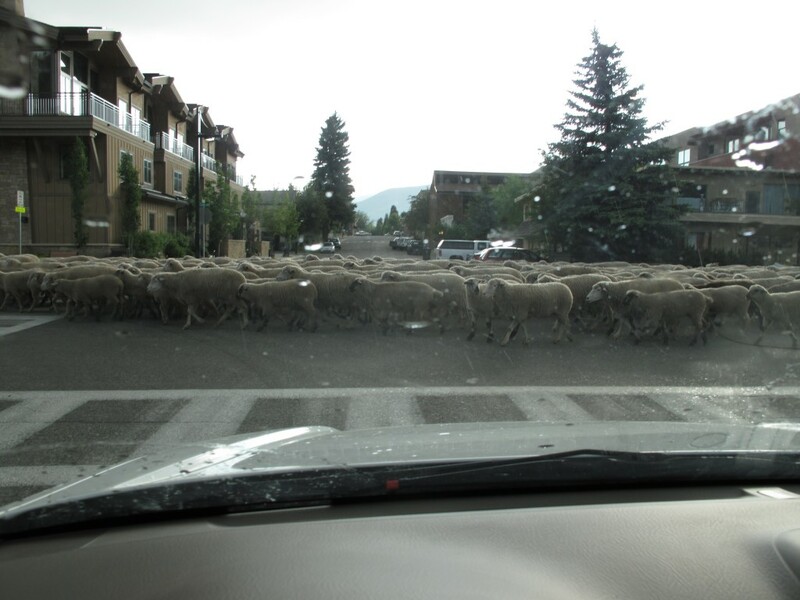 We may not have traffic here in Ketchum, but we have lots of sheep, and they like to make you late for work! 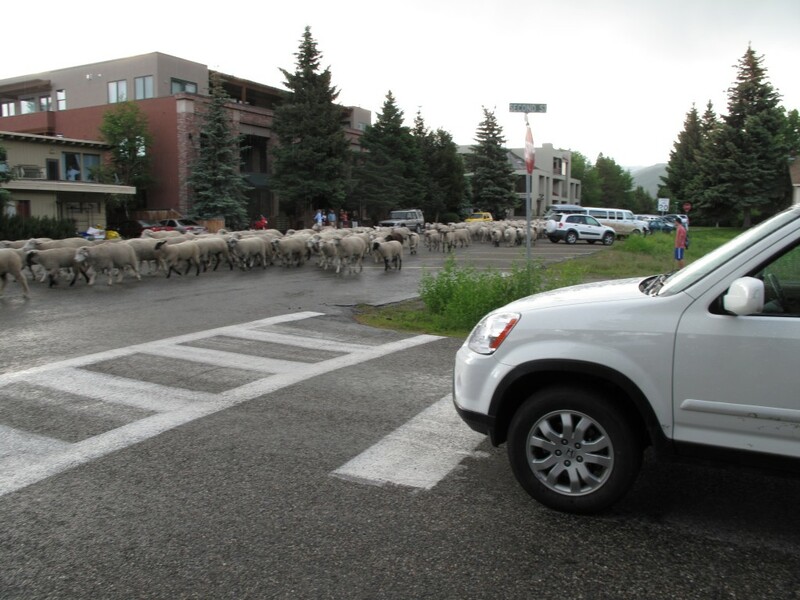 So I drove as far down the backroad, trying to beat the sheep, so I could cross to get to main street. 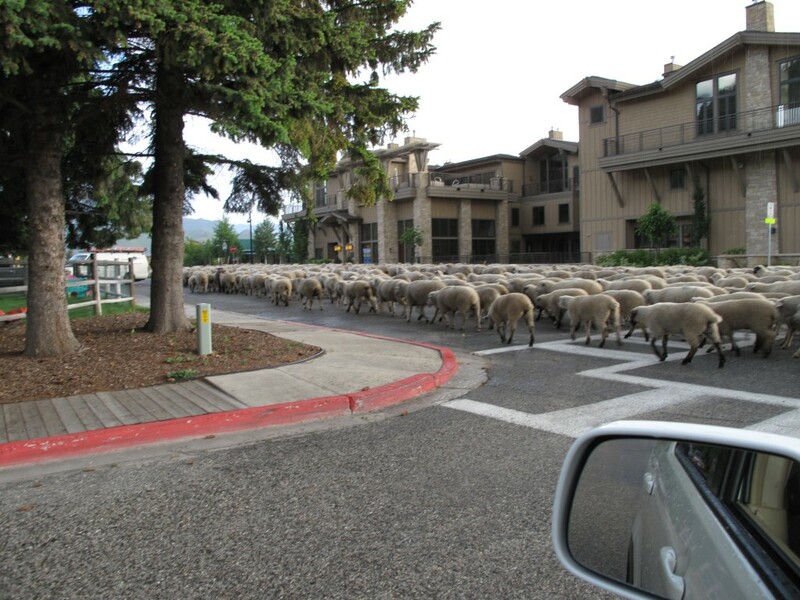 But I was too late. 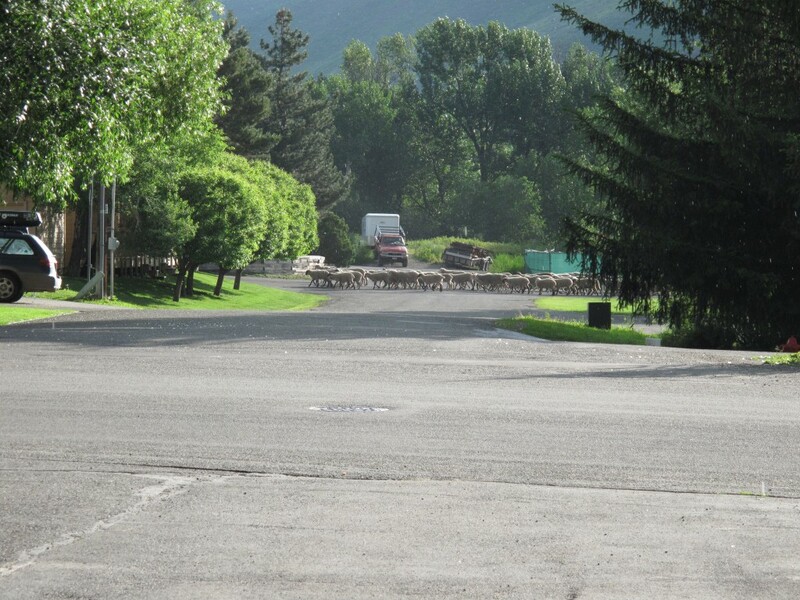 Just another day in good ‘ole Idaho!